EN AW-7050 AlZn6CuMnZr A97050 T7351,T7451,T7651,7050 hard alloy aluminium Billet for Forging. high stress components, especially key components and aerospace materials and important structural materials. 7050 is a high strength heat treatable alloys, high strength and resistance to spalling corrosion and stress corrosion cracking resistance performance. Often used in aircraft structures used in thick plate extrusion, free forging and die forging parts. Is a high strength heat treatable alloys, high strength and resistance to stress corrosion cracking and spalling corrosion performance. Typical use: the plane structure medium plate, extrusion, forging or die forgings. Aluminum Alloy 7050 Chemical Composition Standard. 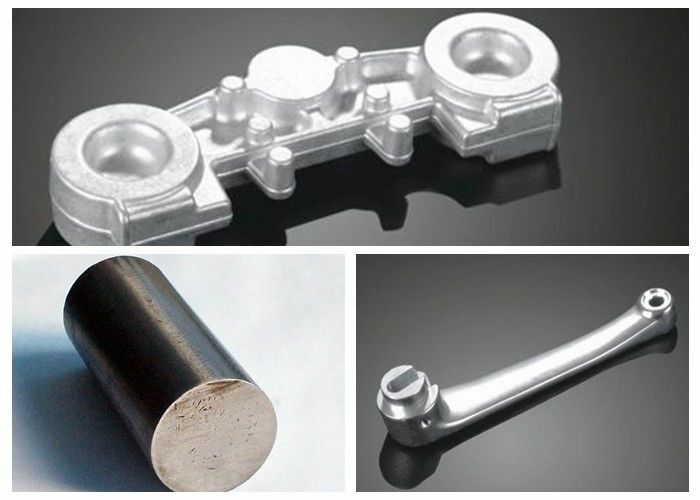 Aluminum Alloy 7050 Mechanical properties. Q1. Are the package suitable For export ? Q2. Can we come to China visit factory ? Q3. Can you send us your aerospace grade aluminum plate Certificate? Q5 : How many quantity for 20'GP load ? Q6: How many quantity for 40'GP load? Q7. How many tons you can supply each month? Q8. How long do you generally keep your offers open ? A:in case of firm offers we usually keep our offers open for five days.